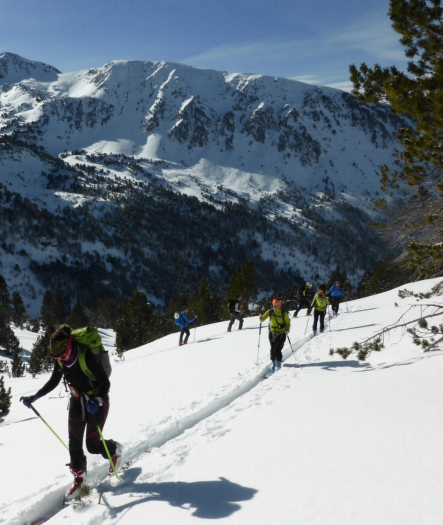 Join Patrick, UIMLA certified mountain guide, for a stunning ski touring trip in Andorra. Discover the powder slopes of Pic del Forn! 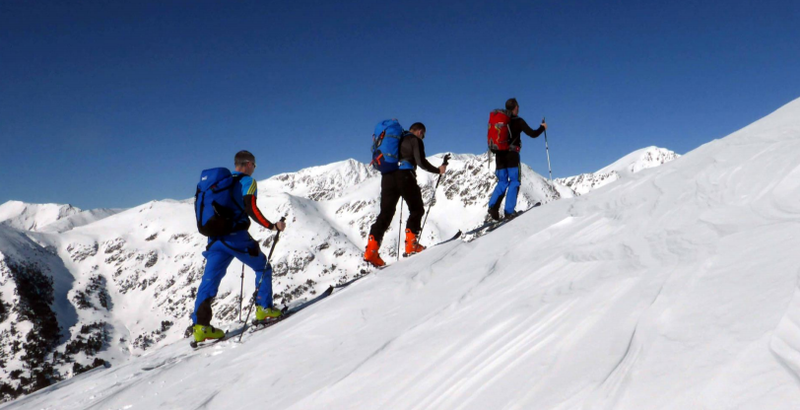 Experience an exciting ski touring outing with an expert. 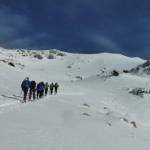 Explore the powder slopes of Pic del Forn. 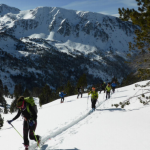 Andorra, located in the eastern Pyrenees, is a classic destination for winter sports. 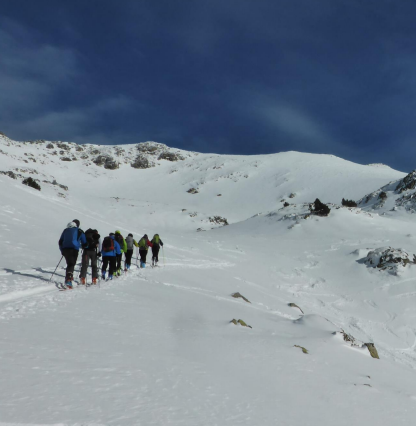 This is your chance to experience a ski touring outing in Pic del Forn, one of its impressive mountains. Join me! The Pyrenees are a mountain range in southwest Europe. 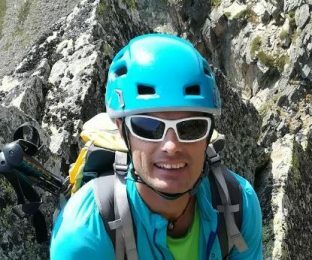 They form a border between Spain and France and cross the microstate of Andorra, one of the smallest countries in the world. 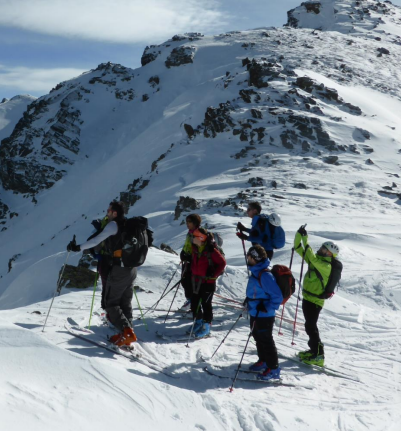 With an average elevation of almost 2,000 meters, and an easy access to several peaks, Andorra is a perfect place for skiing trips. 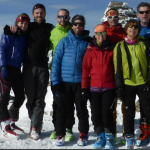 On this ski touring outing we will explore Pic del Forn (2,702m), a popular mountain between the Rialb Valley and the Sorteny Nature Park. 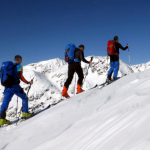 We will enjoy an 11km circular route with moderate slopes and top-quality snow. Exciting descents and breathtaking views are guaranteed! Please note that this trip is not technically difficult, but you should be able to ski on all types of snow. You will also need a good fitness level. Of course, I will be there to help and guide you on the way! 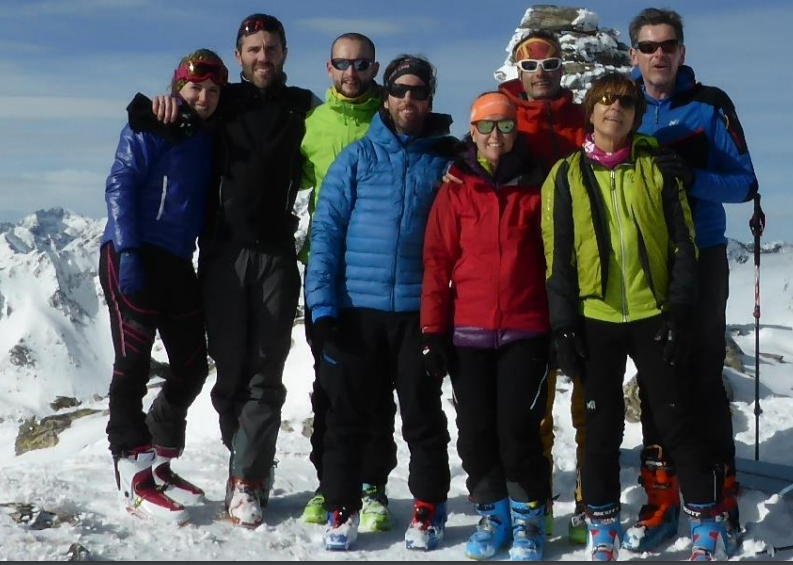 So, if you want to come to Andorra for an awesome ski touring day, please contact me. Let me take you to the amazing Pic del Forn! I also offer a similar adventure in Pic Alt del Cubil and Pic d’Ensagents. Check it out here.